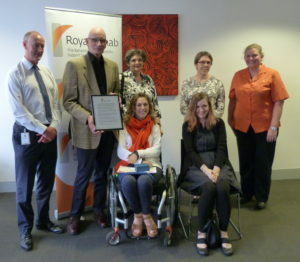 The inaugural Royal Rehab Alex Ommanney Prize in social work being awarded to Emily James by Stephen Lowndes, CEO Royal Rehab. This prize was awarded to Emily in 2018. I didn’t post the news initially but realised recently a delayed post took nothing away from her success. Emily won the prize with an essay addressing how her experience would influence her practice as a Social Worker. Her writing is honest and insightful so I have inserted some snippets of her prize winning submission to raise awareness of a social workers role. No-one stated it better. Well done Emily – you are a worthy recipient of this inaugural award in Social Work. 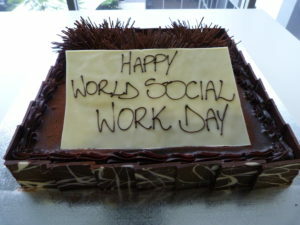 The World Social Work Day theme for 2019 is promoting the importance of human relationships. 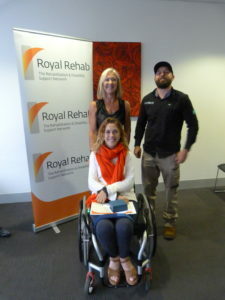 Returning to Royal Rehab to swim or should I say aquatic physiotherapy!